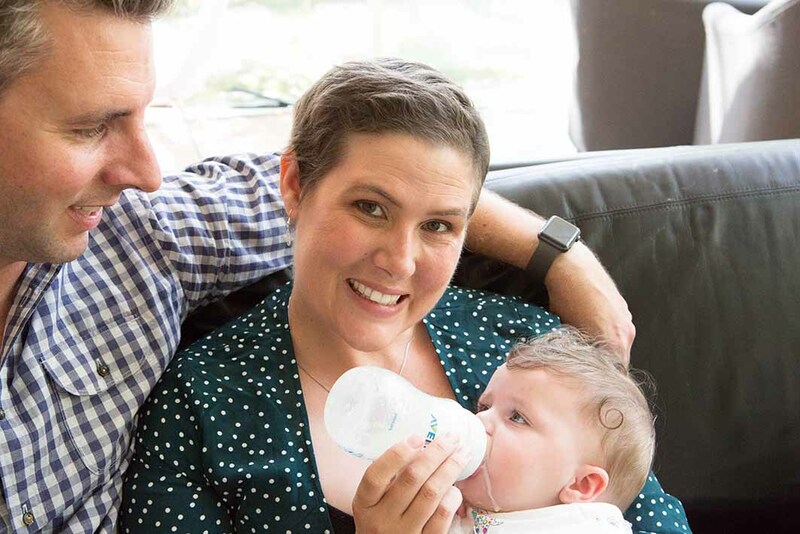 Gratitude might seem hard to come by when you are 35 with a young baby and triple negative metastatic breast cancer but Jules Domigan believes it is the one thing the disease has given her. ‘I’m grateful for the joy, kindness and pure humanity that has been shown to us every day. You can’t do anything tough by yourself, you need support,’ Jules says. Eighteen months ago it was easy to look at Jules and think she had it all. At age 33 she had five degrees, her dream job, was newly married and pregnant with her first child. 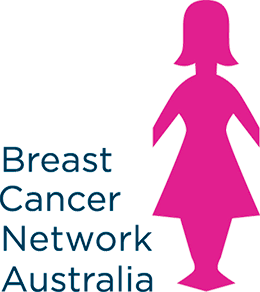 In the space of five weeks her mother was diagnosed with gastric cancer, and a cyst in Jules’s breast that appeared nothing more than a little annoying was discovered to be one of the most aggressive forms of breast cancer. In a further cruel twist it had already spread to other parts of her body. 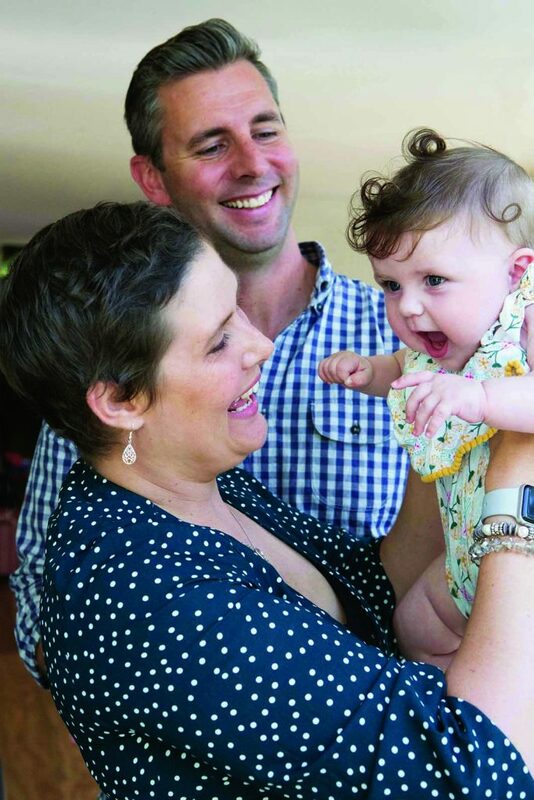 The joy and hope of pending motherhood suddenly became a juggling act of treating her breast cancer while minimising the risk to her unborn child. Jules remembers the irony of being able to have chemotherapy but not a glass of wine. Just days after Aurora (Rory) was born safe and well at 35 weeks, Jules launched into intensive chemotherapy treatment, and a village of friends, family and strangers came together to offer support. Accepting help is often easier said than done, but the new family recognised that it was not only vital to the running of their household – it was also essential for their emotional wellbeing. Jules’s breast care nurse has also been an integral part of her medical team since diagnosis she and calls her ‘my magic unicorn’. Feeling grateful doesn’t always ease the weight of her mother dying just five weeks after Rory’s birth, and Jules’s bright eyes dull a little when she talks about the reality that she is unlikely to see her own little girl grow up. ‘When you have a child you want to think of their future. I have to accept that another woman may get the title of “Mummy”’. Despite the likely outcome, the new mum is giving everything she has to fighting for more time, and is trying immunotherapy as well as chemotherapy. Other coping mechanisms include a good dose of humour and her husband Joel. ‘He is my calm and strength and finds a way to make the scary parts funny. Cancer is serious, but I’m not!’ she says. The young couple is planning a trip to the Northern Lights, the Aurora Borealis, the namesake of their daughter. And it’s clear that the path Jules is now on, while not one of her choosing, will have a strong and lasting imprint.